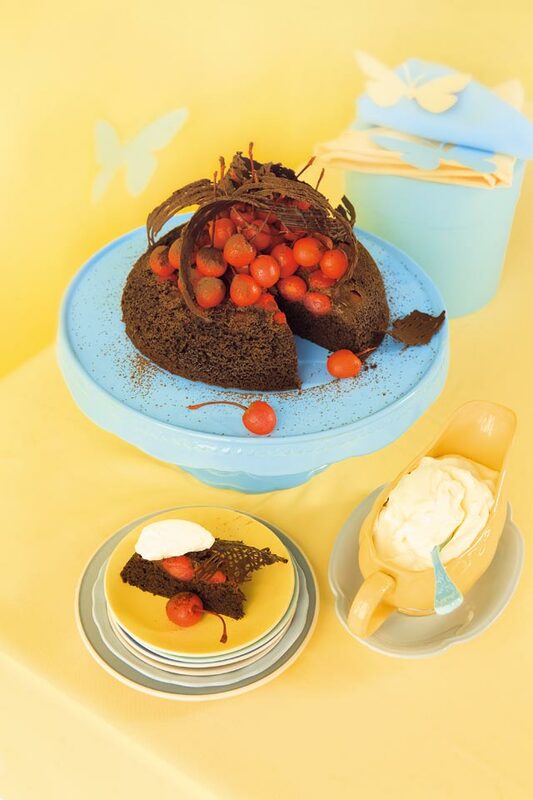 Place cherries in a 1L greased pudding bowl. Beat the butter and sugar until pale, adding eggs one at a time. Sift in fl our, baking powder and cocoa. Stir in the almond meal and milk. Spoon on top of the cherries, cover with a layer of foil and tie with kitchen string. Place bowl in a pot, adding water to come halfway up the side of the pudding basin. Steam, covered for 11/2 hours. Serve with curls and cream.